Trucks aren't exactly the most common drag vehicles. Due to their increased weight and long wheelbases, getting a truck to impress on the strip isn't as easy as it is with most cars. However, these 9 trucks challenge that notion and have their noses stuck up in the air over your assumptions that trucks aren't as fast. 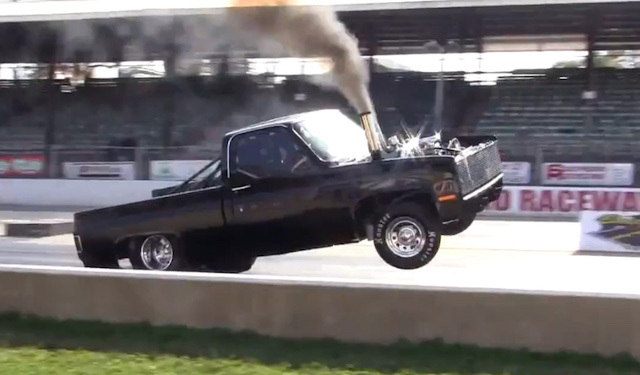 Check out this collection of truck wheelies for an afternoon pick-me-up. Who remembers the Chevy LUV? It’s not a truck we’re used to seeing on the roads anymore, but its lightweight characteristics make it pretty easy to pull the front wheels off the ground. This may go down as one of the coolest uses of a LUV we’ve seen. This early 80s Chevy is fitted with a Cummins engine, and proves that it has plenty of power to pull the wheels! 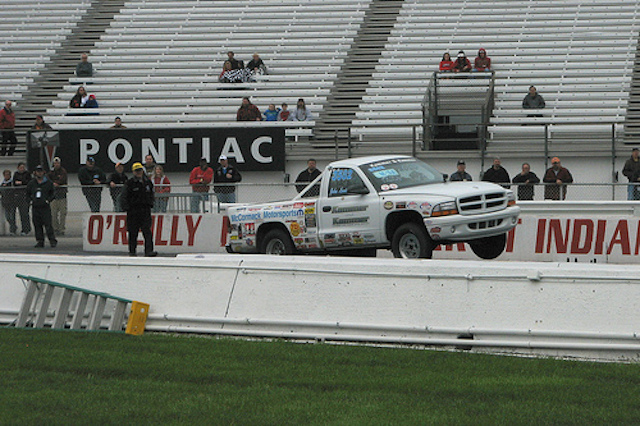 This 3,300 lbs, 6 second truck has no problem pulling the wheels during this 1/4 pass. 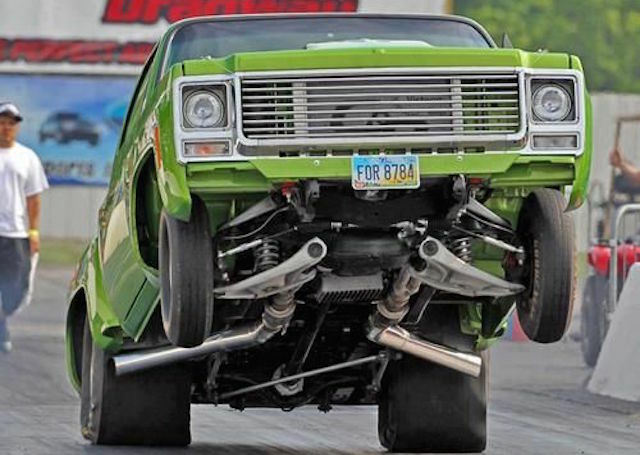 It’s not a crazy wheelstand, but impressive that the front end refuses to stay on the ground as it heads for over 200 miles per hour during the run. Again, not all wheelstands have to be gaping to impress. 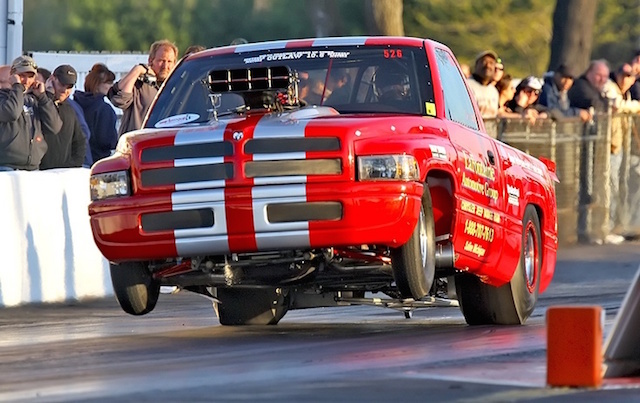 Considering the size of this Ram, even just a little wheelie means it’s pushing some major power. Broncos are probably one of the last vehicles you’d expect to see on two wheels — their top heavy design and size isn’t exactly drag ready. This Bronco proves that with enough power, anything can pop a wheelie. 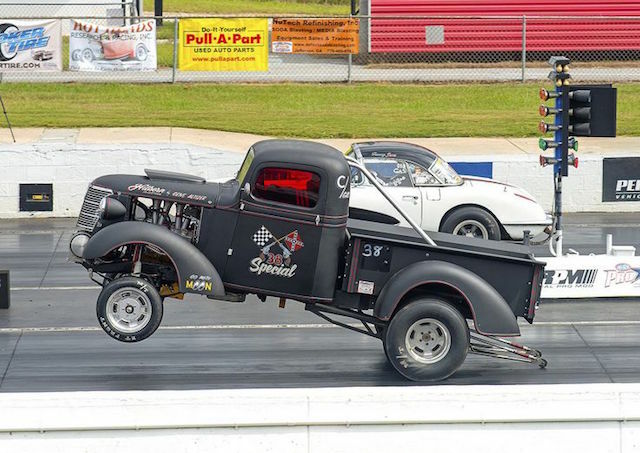 1938 Chevy Pickup is Wheels Up! 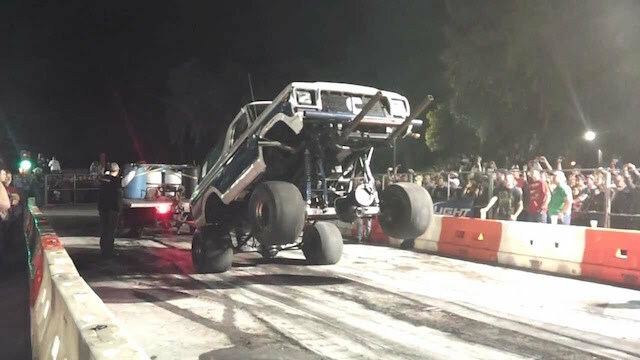 This “38 Special” Gasser drag truck shows us how it’s done by standing up on the wheelie bars. 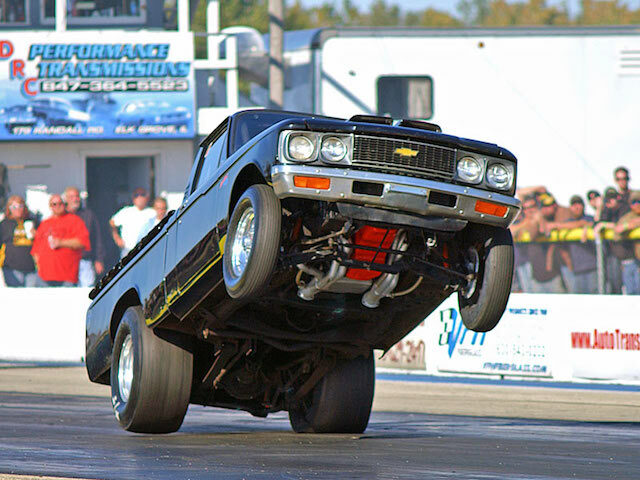 Without a doubt, this truck has seen its fair share of wheelstands, and it’s one cool drag truck. 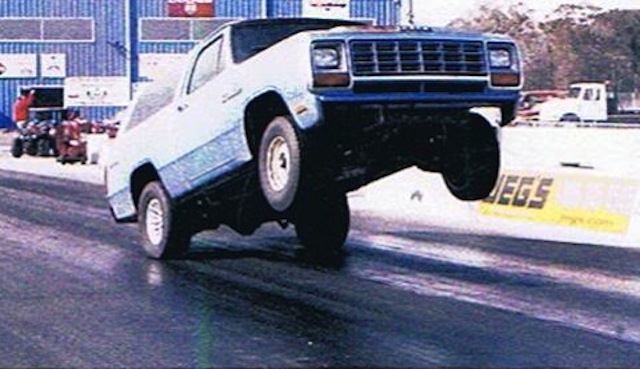 The usually small statured Chevy S-10 looks larger than life during this cloud kissing wheelstand. 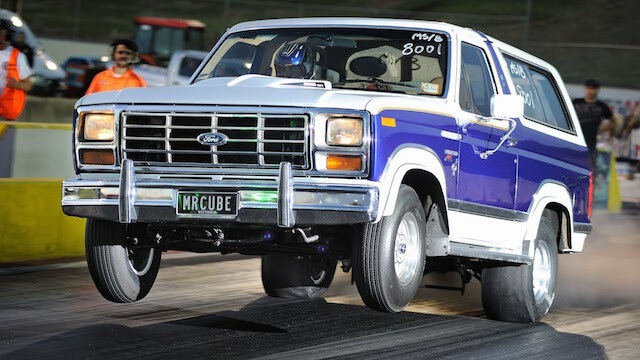 Between the skinnies and slicks, and huge wheelie, it’s obvious that this truck packs a heck of a punch! This insane Bronco has slick on all four wheels, a good indicator that this isn’t the first time this vehicle has been on only two wheels. To be fair, it wasn’t the Cummins engine power pulling the front wheels, it was the tug of war it was in the middle of, and won. Driving any of these trucks would make for a memorable day, especially if you could get them to stand up on the rear bumper! They combine power, the right wheel/tire setup, and a quick footed driver — and all make for one heck of a show. As long as your truck is outfitted with a strong clutch and good set of brakes, it couldn't hurt to head to the track and give it a try.